Fishing for trout is one of the most popular types of fishing among anglers and for a good reason. The trout species come in different sizes, and it's one of the easiest fish to catch, which makes it ideal for novices and fun for old hands too. But to achieve the best results when fishing for trout, one has to have an ideal rod that is constructed and designed with the right combination of sensitivity and strength needed for freshwater fishing. As with most fishing styles, there are plenty of trout specific rods on the market and some with impressive sounding trimmings. But as you'll soon see in the assortment of rods we've highlighted below, sometimes simplicity is the way to go. So without further ado, check out our selection of top five fishing rods that work perfectly for angling trout. 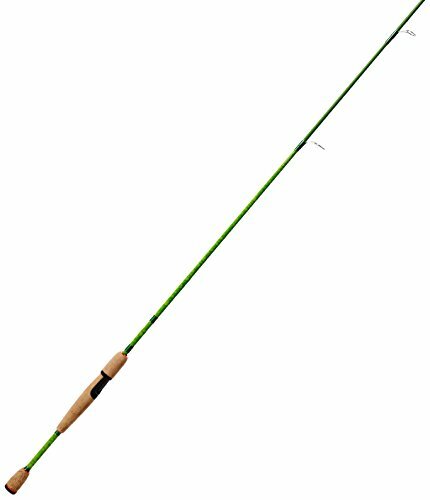 This particular rod is lightweight and fast, and that allows it to cover an extensive range of lake fishing environments, big or small. It’s not too bad in the looks department either, as it comes with customized cork and rod that make for comfortable handling. It's a good quality build, and the design combines Pac Bay Minima Guides with Pac Bay Minima reel seat which makes it ultra sensitive. It's an ideal rod for trout anglers looking to make big catches, and it's suitable for most conditions. All in all, this rod might not be perfect but it is lightweight, comfortable and sensitive, so what more can you ask for? This is a fast action, two-piece 6” rod that's made from lightweight 24-ton carbon, and it provides effortless angling. It's well-designed and has smooth handling foam grips as well as superb custom reel seat design and well-polished guides. It's suitable for a wide range of fishing styles, but more especially Pan and trout fishing. The Sellus also comes with a multipurpose hook keeper, laser etched technique bag, and various technique specific actions, which makes this an ideal entry level rod for new anglers. This rod is very well priced and super affordable considering the level of quality and ease of angling that it provides. Great value for money. 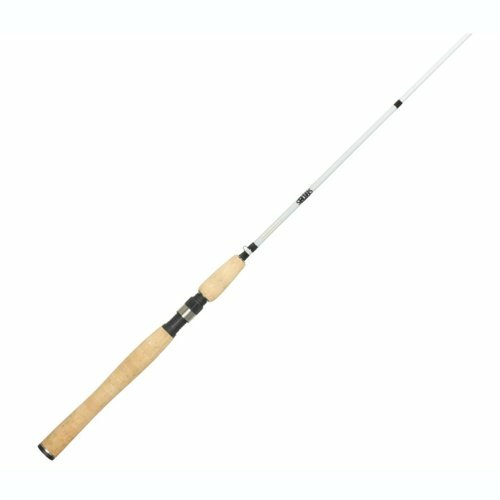 As the name suggests this is a super light trout spinning rod, and it comes with technique specific actions for various species. It's well constructed with IM-8 graphite and steel frame guides with a rich metallic copper finish. It's got a strong grip and comes with friction reducing Zirconium inserts, and it's suitable for anglers at different stages of experience. Performance wise, this rod certainly never disappoints and is ideal for cold water fishing. You can catch a broad range of fish with this, and reviewers have reported great success with species like bass, panfish, trout, and pike, to name but a few. This ultralight pole is constructed using Uni-Directional Fibreglass technology, which makes for better sensitivity, which in turn allows you to catch a lot more fish with the jig. It has enough strength to cast light lures at long distances, and it comes with a normal spinner bait reel. 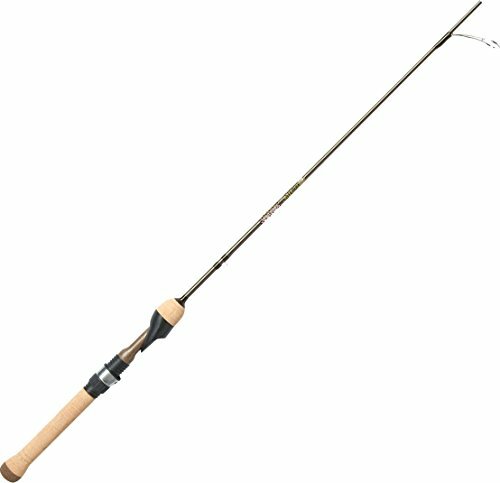 An already light weight rod by any standards, Berkley has reduced its weight further with a split cork handle and ultra lightweight stainless steel guides. It offers moderate action and good balance, and it's bright green color means that you can spot it anywhere. According to the manufacturer, this is engineered specifically for power bait. Either way, it's perfect for trout and panfish. 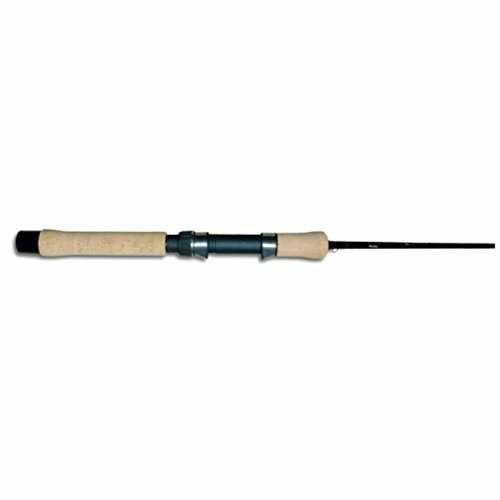 This ultra light 5'6' rod is made from graphite blank which gives it strength and sensitivity. It features stainless steel hooded reel seats and aluminum oxide guide inserts. It's got seven eyelets which are ideal for its size, and fore and rear cork grips to boot. The pipe reel seat is standard and comes with a short cork. Overall this rod offers relatively good performance, and you'll have a blast with an exciting angling experience. Perfect for freshwater fishing and specifically for species like trout and salmon. One year warranty... need I say more? This famous fishing quote comes from a John Walcot poem and is one of the most popular sayings amongst trout anglers. This first line reminds us about the charm of freshwater fishing, which lies in it's ability to be as peaceful and meditative an experience as it is an exciting one, and using the right trout spinning rod plays a huge role in that experience. There's nothing more pleasing than fishing with a rod that's able to sense that all-important bite, even more important is it's ability to hold on to that fish long enough for you to pull it up. These are the indisputable basics that work hand-in-hand to make fishing a most pleasant experience. That said, we hope you've found the right rod for your overall experience level, and that it'll be one of which you'll catch many fish for years to come!